Join KLAQ and Deadbeach Brewery for the return of 915 BeerFest! El Paso’s FREE admission craft beer festival is back and taking place at Durango and Overland, outside of Deadbeach! This beer festival will feature 915 local breweries, as well as dozens of regional breweries from across the Southwest. Individual beer tastings from participating breweries will be available for purchase via our currency called TFCU tokens! Tastings are one token each, and full pours will be three tokens. Tokens are $2 a piece, and tasting pours will be 2-3oz. Enjoy entertainment by local bands on our live music stage, plus have fun with on-site games as well as browse local art vendors. A variety of food trucks, including the Deadbeach food truck, the Tap on Wheels, The Panini Bus, El Jefe, Sabor Mexicano, Rebel Grill, The German Food Truck, Craze and more will be featured at the festival. Food purchases are made with TFCU tokens, too! This event is family friendly, all ages are welcome, you must be 21 years or older to taste craft beer and will need your I.D. to verify drinking age. The event hours are from 2pm-Midnight on Saturday, March 16, 2019. Admission is free, but YOU can be a VIP! VIP Tickets are now on sale for the festival. Tickets are $75i including taxes and fees. VIP tickets include: Access to the entire festival grounds, including over 18 breweries, and over 65 beer selections. You’ll receive a VIP T-shirt, a festival glass, PLUS 5 sampling tokens for festival grounds beers. You’ll also have EXCLUSIVE access to the VIP Beer Garden located at the Deadbeach Beer Garden. Hosted drinks by Deadbeach Brewery, and you’ll have access to food between the hours of 5pm-8pm. Tickets are extremely limited and while supplies last. 915 BeerFest, thanks to TFCU and Johnson Jewelers! Click here to follow us on Facebook for the latest festival information! If you would like to perform at the event, please fill out this form below. 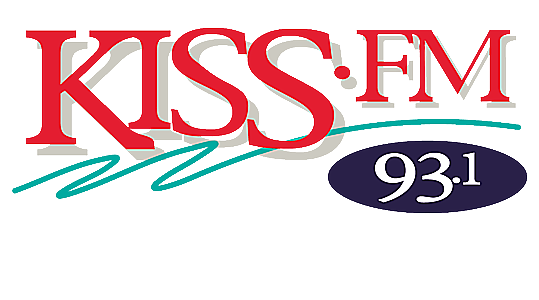 2019 93.1 KISS FM is part of the PopCrush Network, Townsquare Media, Inc. All rights reserved.